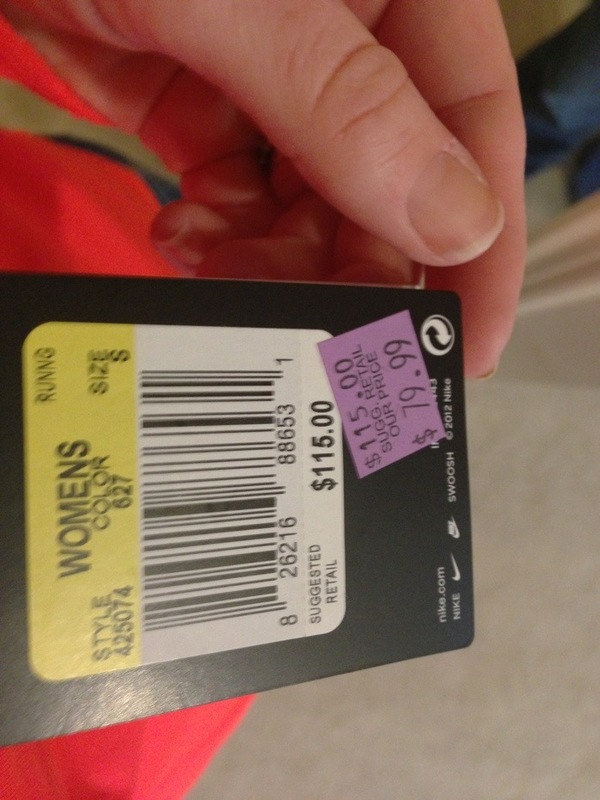 Over Presidents Day weekend, the fam & I took a trip to the Philadelphia Premium Outlets in Limerick, PA. I had never been before and boy did we score big! Not only do all of the stores have fab outlet prices, but we picked the right weekend to go – nearly every store was having additional clearance sales for Presidents Weekend. Like seriously, we’d walk in and EVERY store would have signs that the entire store was anywhere from an additional 30-50% off. Crazytown. Wanted to share some of my finds with you but here’s one I just love – I got this Nike Element Sheild for $40! (It’s normally $115). Now obvi I wouldn’t normally be wearing it with jeans but wanted to show you guys how it fits. 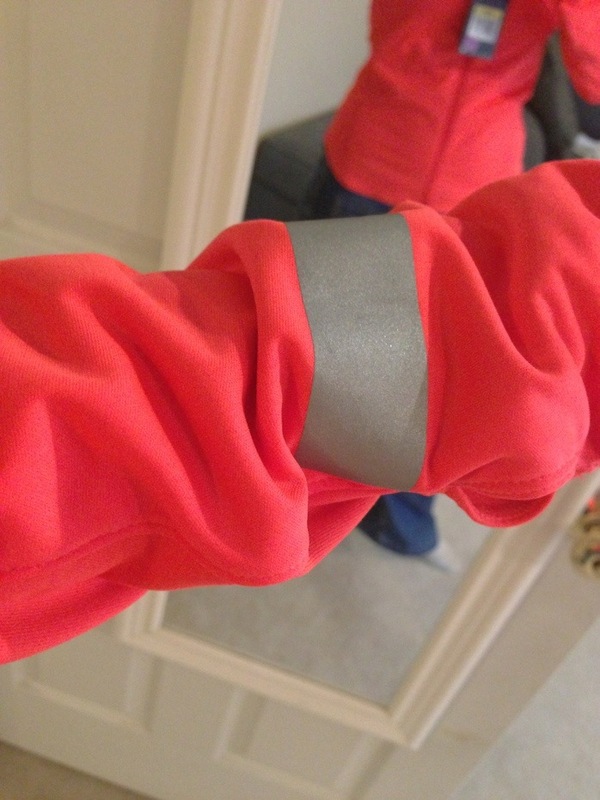 I just love that it’s a tight fit, designed to keep me warm for my outside runs. The Nike Sphere Dry fabric utilizes technology that keeps you warm despite it’s thin nature. Love that because no one wants to run in bulky clothing! 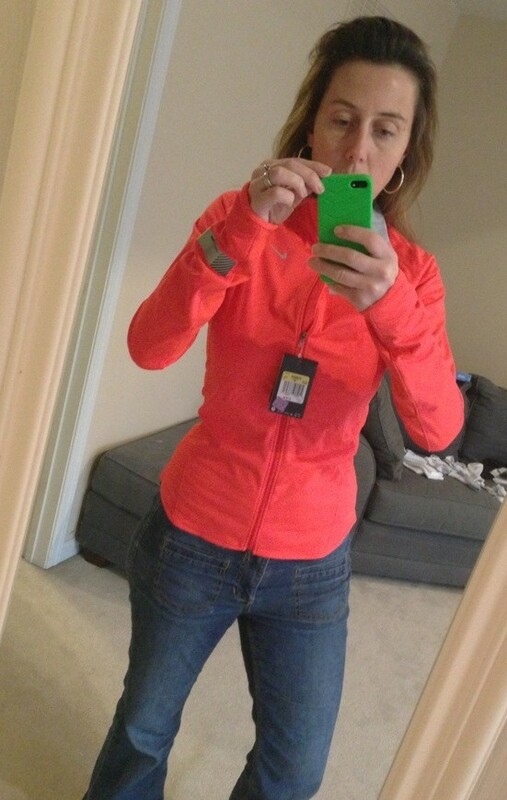 I also picked bright orange as I’m all about safety when I run – the brighter the better so cars & others can see me running. And then another 50% off this! Hello outlet shopping! Where have you been all of my life?! looking good! love the fit, color , and price too. A triple win, I’d say! You should be a model for them!!! Looking good!!! And what a great looking shield!! !